Dr. Brenda Kennedy joined Canine Companions as their national veterinarian in 2014 and was promoted to her current position as the director of canine health and research in 2016 - a role that combines her passion for research with her love of veterinary medicine. She oversees the veterinary care of all dogs in the puppy, breeding, training and graduate programs at Canine Companions. 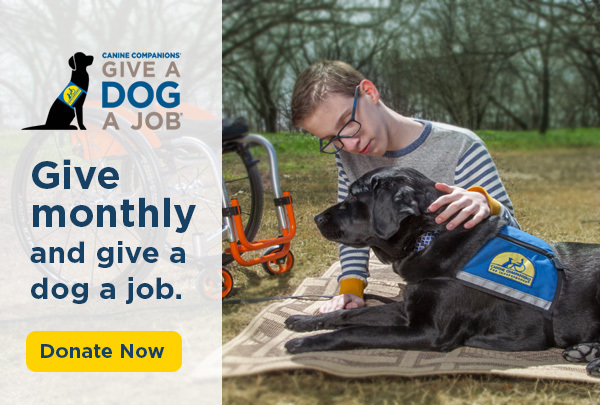 In addition, she directs research partnerships that focus on the identification of scientifically based tools to improve the health, longevity and cognitive skills of assistance dogs. Brenda completed her undergraduate and graduate degrees in the fields of biochemistry and developmental biology at Northwestern University and MIT. After graduate school, she worked in biotechnology as a research scientist in the field of genomics. She received her DVM degree from Tufts University in 1998 and worked as a veterinarian in private practice for 16 years prior to joining Canine Companions.